The Best Books Ever: The Redeemers by Kate Morgan ~ Blog Tour Review by Jaime + Giveaway! The Redeemers by Kate Morgan ~ Blog Tour Review by Jaime + Giveaway! Annie cheated death once. Hooded kidnappers nailed her to a cross but strangers pulled her down and healed her. Annie lost her unborn baby to the torture. Now she’s after answers and revenge. Hounded from town to town, Annie gathers puzzle pieces about the killers but can’t fit them together. 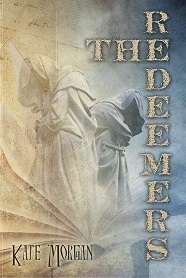 They call her “heretic” when they nearly catch her again—a word no one's heard since the Last War ended 203 years ago. Even her traveling companions think she’s concealing vital information, and she's got her own suspicions about them. She sneaks into the killers’ hideaway and finds her answers just as three people are about to be ritually slaughtered. If she abandons revenge, she can try to save them. But heroes aren't welcome in Annie's "perfect" world. Our MC Annie has NOT had an easy, peaceful life. She has been through hell on earth, and you honestly can't help but feel for her. I was also incredibly impressed with her. She doesn't let any of the crap that has happened make her weak, or needy. She is strong and fierce, and brave. I rooted for her from the get-go. Annie was fantastically written, as were the other characters, including the love interest, in this very unique, dystopian story. I am very wary of dystopians, because to me a lot of them end up feeling very similar to another one. Kate Morgan has written a very unique, different dystopian. I didn't spend even a second thinking about comparisons to other stories, and that is a nice change of pace. Speaking of pacing, for the most part it was paced very nicely. Occasionally I hit a slow spot, but the story is engaging enough that I didn't mind. The Redeemers is quite the mix of genres, and that in itself is huge draw and one of the reasons the story is so different. I would recommend it to anyone, because I believe everyone would find something to love in it. If I had to make a complaint, it would be some of the slower paced parts of the story, and the occasional info-dump. But those negatives were so few and far between, they might as well not exist. Definitely go ahead and check out this awesome story. Kate Morgan is one author who knows her way around words. Her writing is beautiful and her imagination is through the roof! Kate Morgan is a darn good cook. She grows her own veggies, knits stuffed monsters, and watches lots of Hammer Horror. 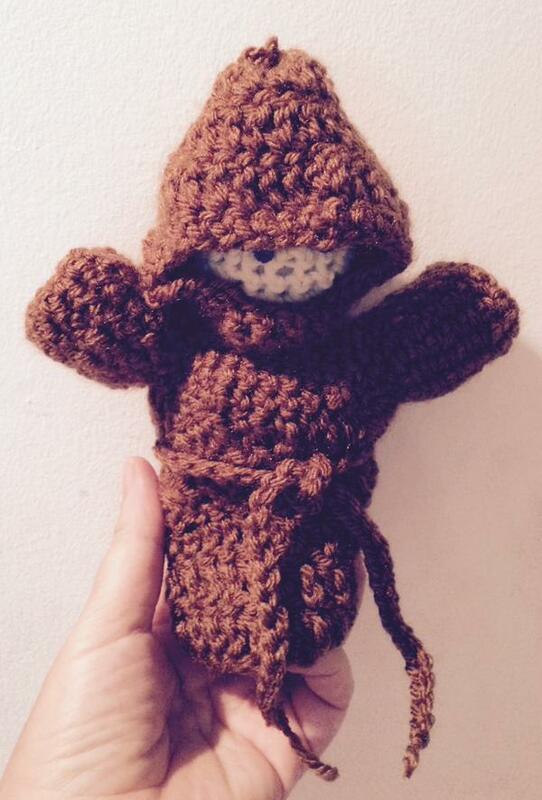 3 Winners will each get a handmade Redeemer amigurumi! By Entering you are agreeing to the terms and conditions in the Raffecopter Form.